This card base is basic size measuring 4 1/4" x 5 1/2" and is using the Whisper White. Then, for my vocal point i took an image from the Gorgeous Grunge stamp set, stamped it a few different times and then used a saying from the You're Lovely stamp set which is available right now from SAB. Hurry, hurry though... SAB is only until the end of March! Which believe it or not is only a couple weeks away. You don't want to miss out on all the items that you can get for FREE!!! Not familier with what SAB is... basically when for every $50 or more in SU! product you purchase (prior to s/h and tax) you can choose one of the SAB items that you want and you receive it for free! And it is unlimited... $50 is one item... $100 you get two items... so on and so forth! Click HERE to see the complete SAB brochure. 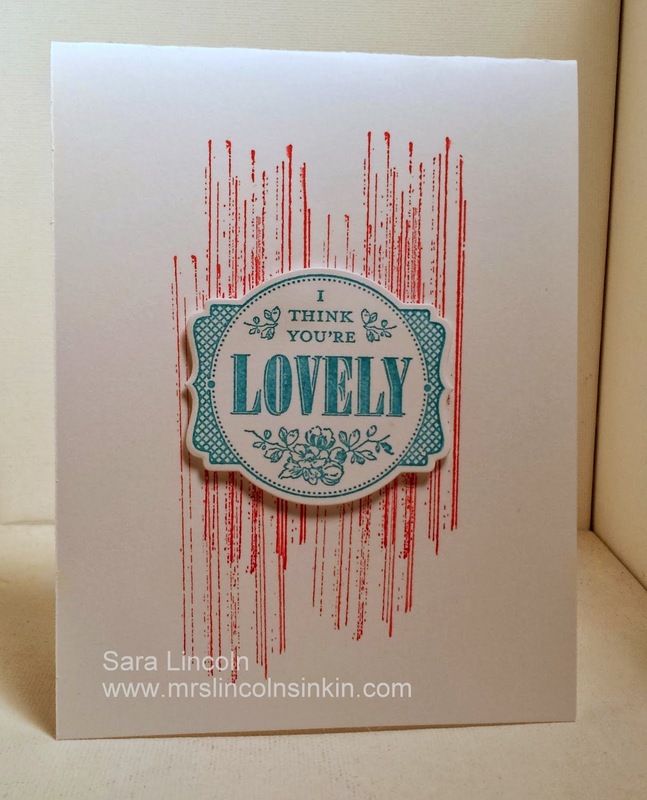 The item that i am showcasing today is the You're Lovely set from SAB. It's a set that i have been reaching for and using quite a bit lately. I just love it and i love the saying "I Think You're Lovely".